Gated communities offer the kind of security and privacy that you may not find anywhere else. You can’t put a price tag on peace of mind! Gated communities typically enjoy lower incidences of crime and solicitation, as well as less traffic. Kids can play outside and you can jog or walk your dog with no worries. Reduced traffic also means less noise and a lower likelihood of car accidents. Some gated communities simply have an automated gate that can be opened via a remote or an entry code, while some feature24/7guards that keep watch at the gate and do rounds in the neighborhood. Thinking of investing in a home in a gated community? The Charlotte metro area has dozens of these exclusive enclaves for you to explore. While the region as a whole has plenty of gated communities, these are not often found within Charlotte – this makes those that are inside the city some of the most sought-after places to live in the metro area. These communities each has its own character, ranging from the French village feel of tiny Courance to the elegant, bucolic splendor of Morrocroft Estates and its sprawling mansions. They offer a wide range of amenities, from championship golf courses and opulent clubhouses to spa facilities and fitness centers. Whatever it is you’re looking for, you’ll find a gated community that suits your tastes in Charlotte and its nearby areas. Just call David Dunn at 704.999.3591 or send an email to David.Dunn@SothebysRealty.com to start exploring your options. Connor Quay – Homes in Connor Quay can have up to five bedrooms and are situated on oversized lots. Located in Cornelius, those who live here have access to outdoors attractions like Jetton Park and Ramsey Creek Park, which offer opportunities for boating, fishing, tennis, and sand volleyball. Shadow Creek – This gated luxury community in Cornelius brings you close to Lake Norman and the countless recreational opportunities that it offers. The sight of mature hardwoods and a spring-fed pond greets guests that moment they enter the gates. The majority of homes are situated on wooded lots and can have up to five bedrooms. Governors Island – Governors Island on Lake Norman is among the few islands that are inhabited by year-round residents. 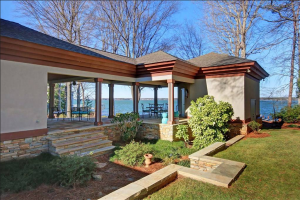 Located in Denver, on the west side of Lake Norman, this waterfront community offers some of the most stunning views of the lake’s 50-square-mile surface. The Vineyards at Kiser Island – This small but elegant subdivision offers spectacular views of the water, as well as quality homes with up to four bedrooms. It is located in Terrell, an unincorporated community with a population of about 860. Stillwell – Located in Huntersville, homes in Stillwell can have as many as five bedrooms, along with chef’s kitchens, private studies, and three-car garages. Residents have access to major attractions like the Historic Latta Plantation, Discovery Place, and Carolina Raptor Center. Stonegate Estates – This luxurious subdivision is located just off McCord Road in Huntersville, about 17 miles from Uptown Charlotte. Here you’ll find majestic estate-style homes on oversized lots. Most residences offer four to five bedrooms, offering more than enough space for growing families. Pointe Regatta – Located in Cornelius, Point Regatta can be found north of Bethel Church Road, towards the ends of Henderson Road. Lot sizes range from a quarter of an acre up to 0.44 acres.